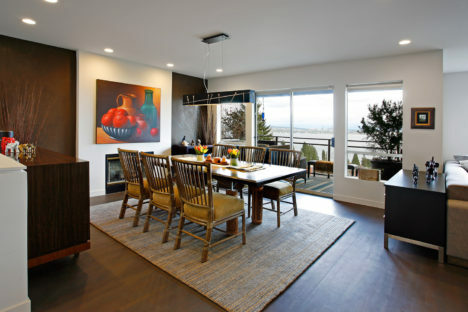 The owners of this home started with the goal of taking advantage of the amazing view from their roof – wanting to turn the space into a beautiful and usable area for entertaining and relaxing in the warm summer months while capturing the stunning views of Lake Washington and beyond. 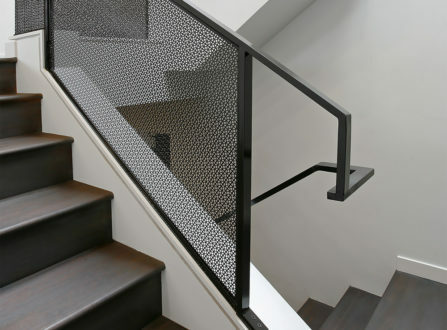 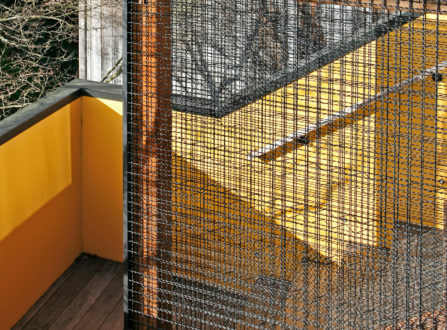 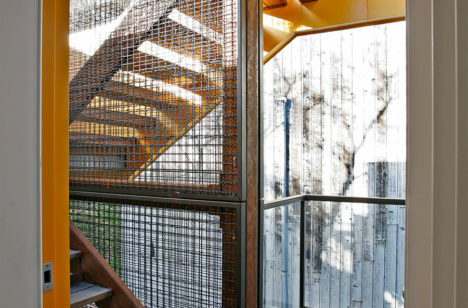 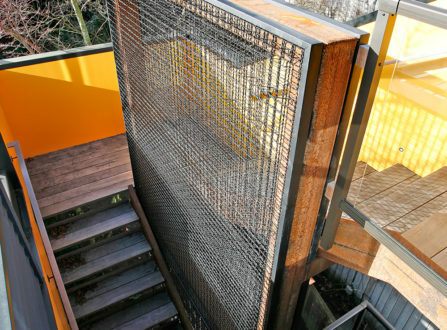 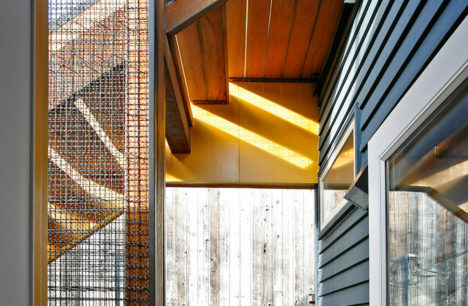 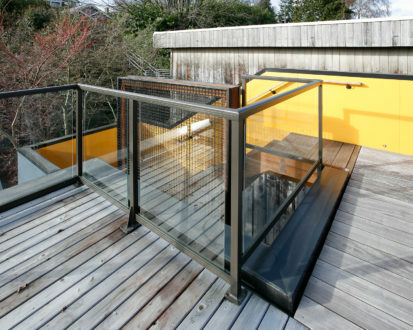 The exterior eco- mesh detail to the exterior stair to the deck is an amazing architectural detail. 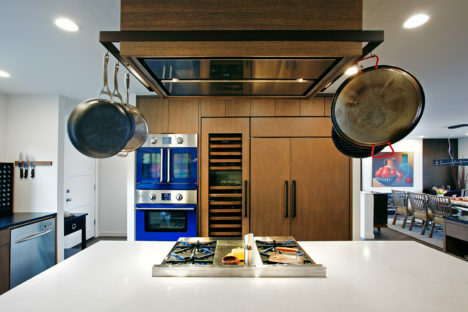 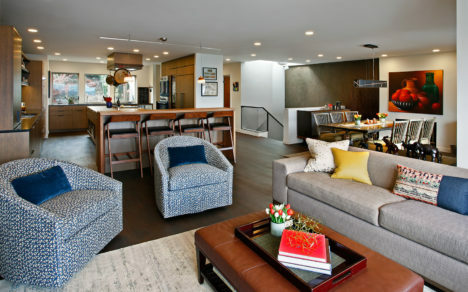 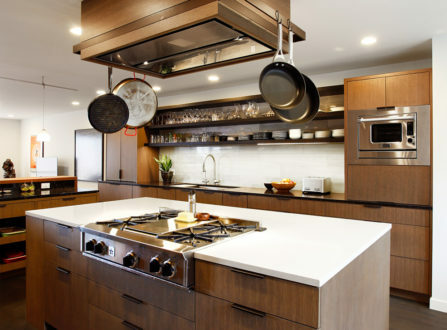 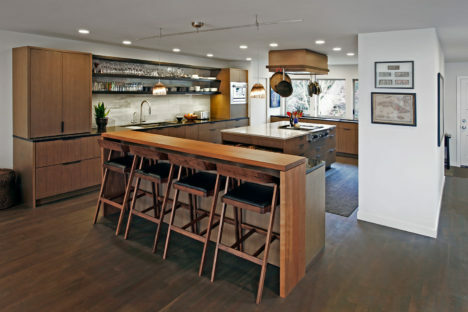 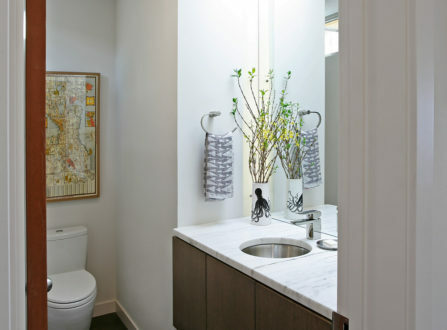 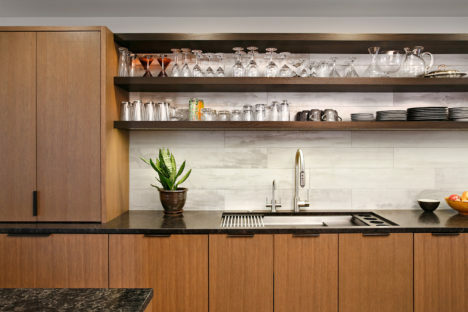 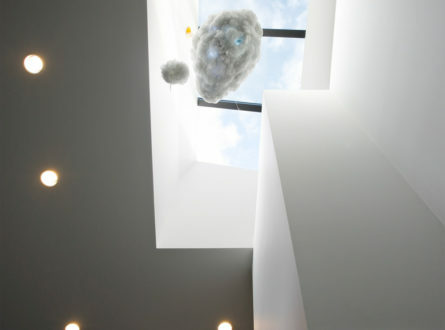 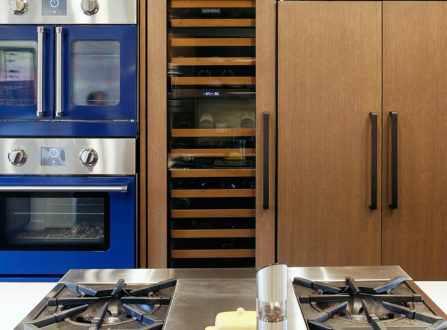 The interior work included the addition of a new chefs kitchen, enhancing the living room space and adding a home office. 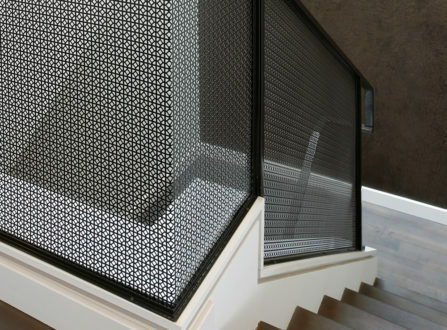 Interior finishes included unique use of materials such as custom aluminum mesh panels with steel flatbar railing at the interior stair. 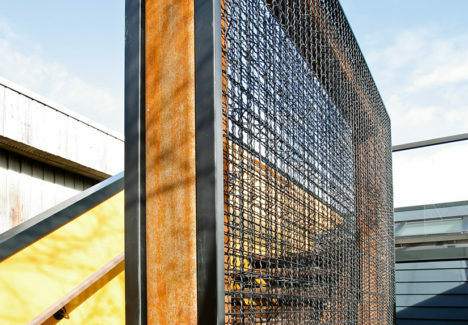 Steel fabricated and provided by Westeel, Inc.